Tonight I leave Haida Gwaii. The full thrust of spring has most plants pushing new shoots or offering flowers and berries. The hemlock is no exception. When my mum was visiting she expressed curiosity that the Haida eat the pith of the tree as she was under the impression hemlock was also used as a poison. I had a memory of something similar and offered a vague response in the affirmative. Before leaving I found a better answer for her. 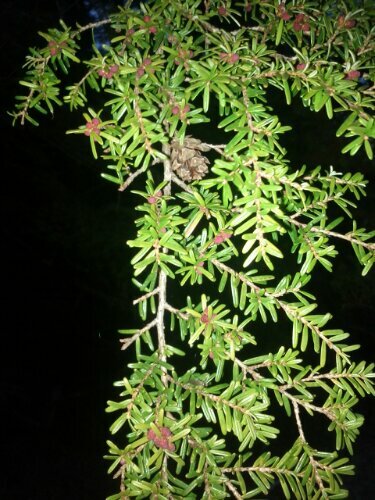 The berries of the hemlock are very poisonous. This entry was posted in Haida Gwaii and tagged hemlock, poison. Bookmark the permalink. You’re (and she’s) thinking of the hemlock that killed Socrates. Different plant.